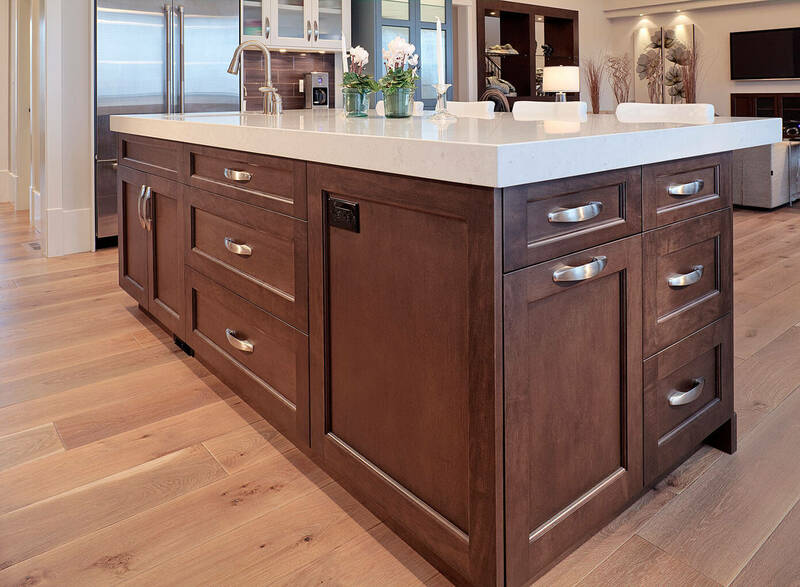 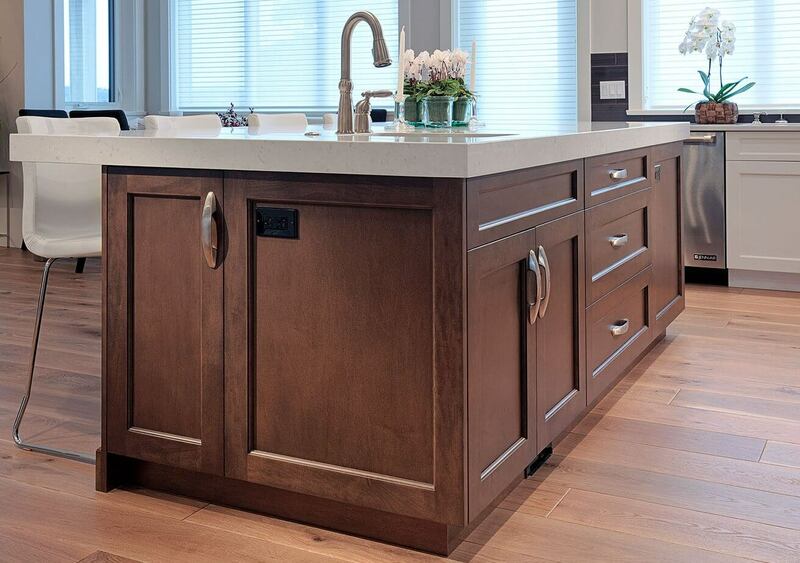 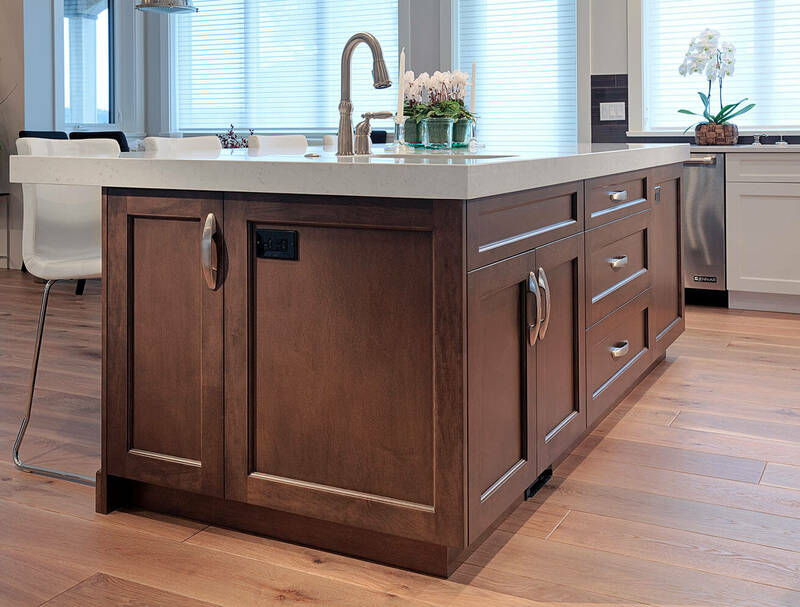 By using Rockport doors and stained maple, the kitchen island brought the room together perfectly. 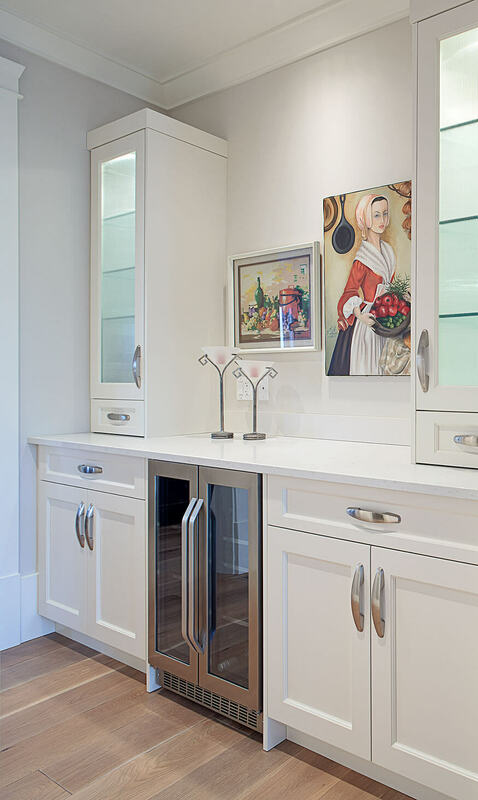 The room is finished off with a playful Curio cabinet just outside the kitchen. 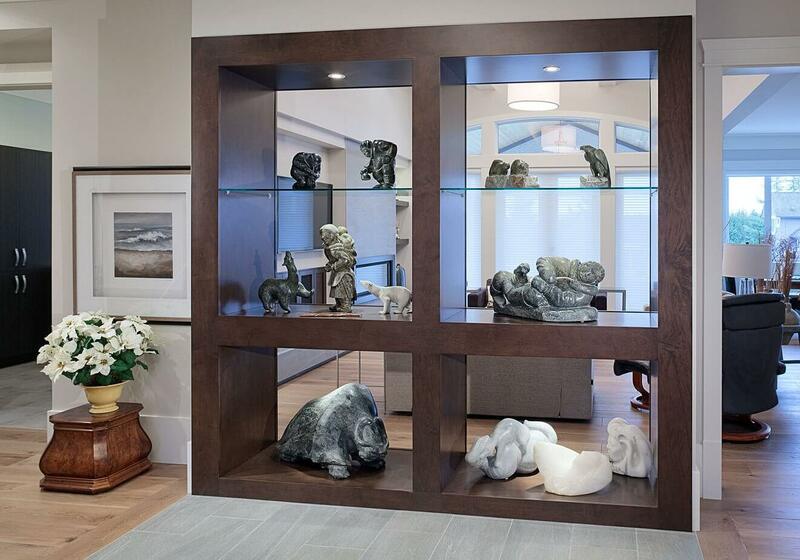 It’s painted Eclipse with asphalt glaze. 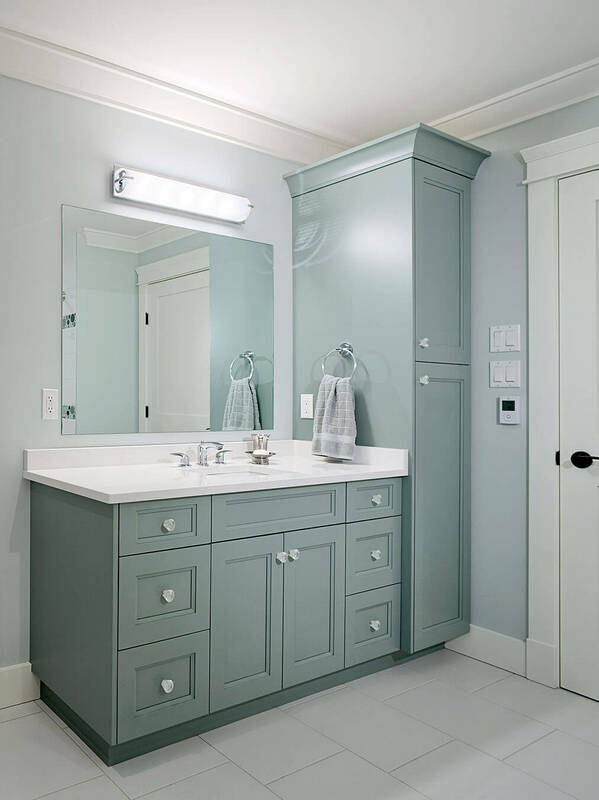 For the powder room, This client wanted a tone that would fit well with the rest of their home. 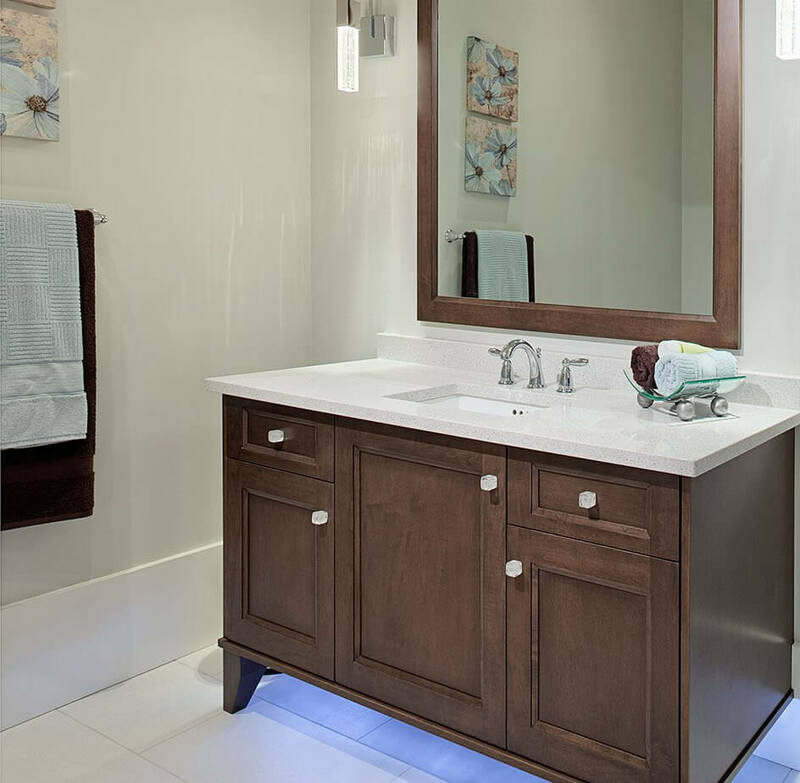 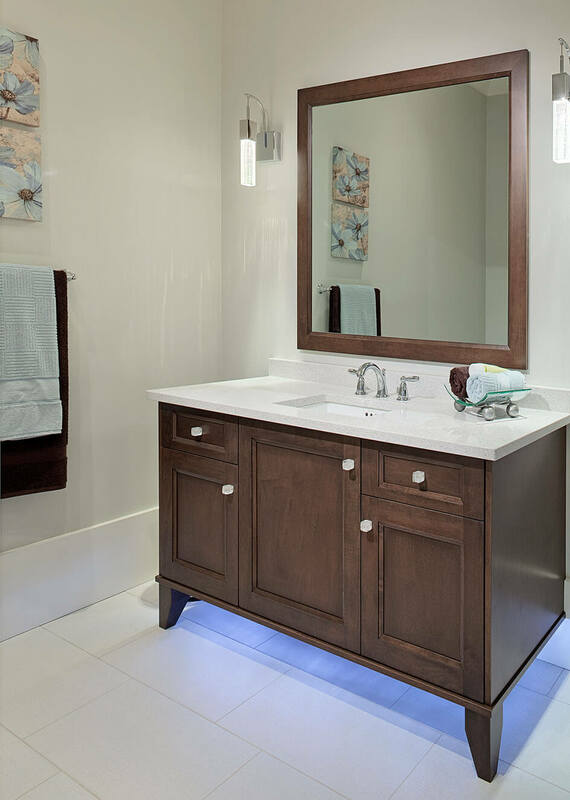 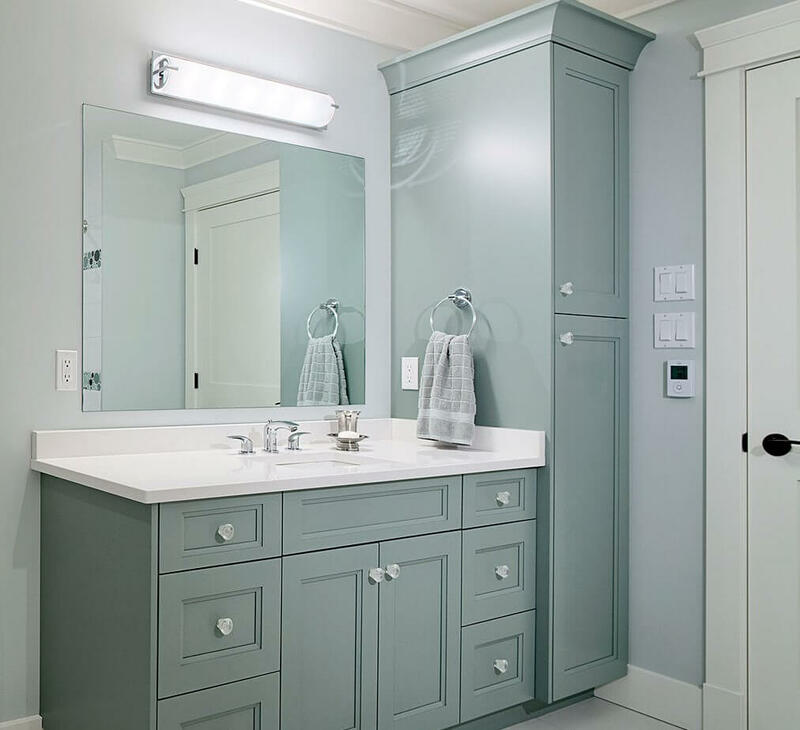 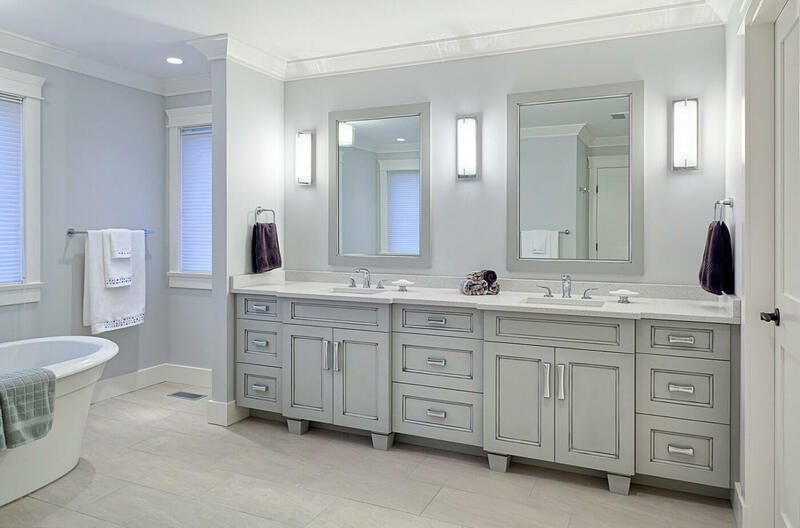 The vanity was designed with slim legs to elevate the cabinets, making room for lights underneath that would help give the bathroom more of a ritzy feel. 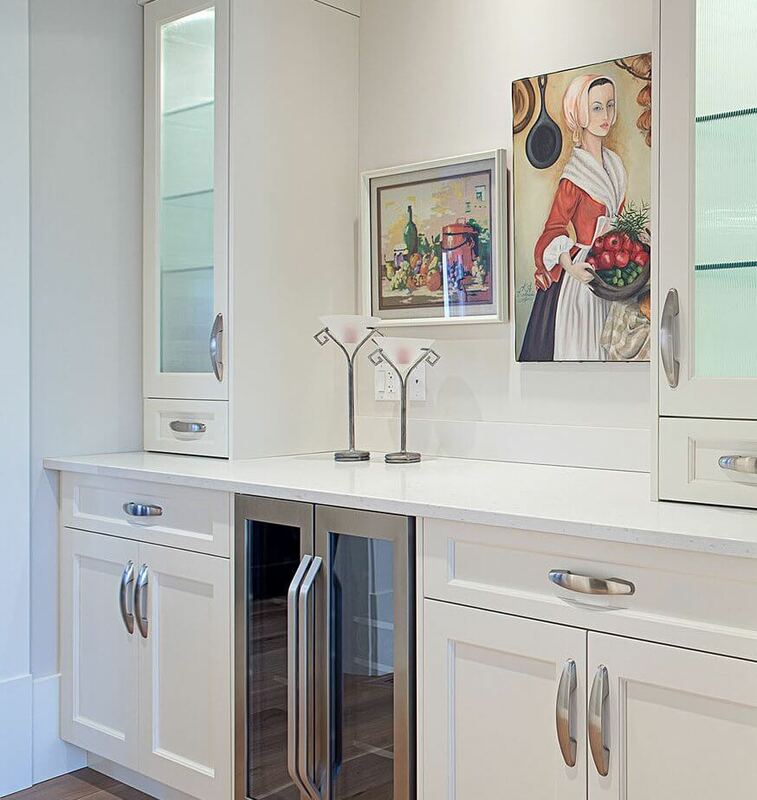 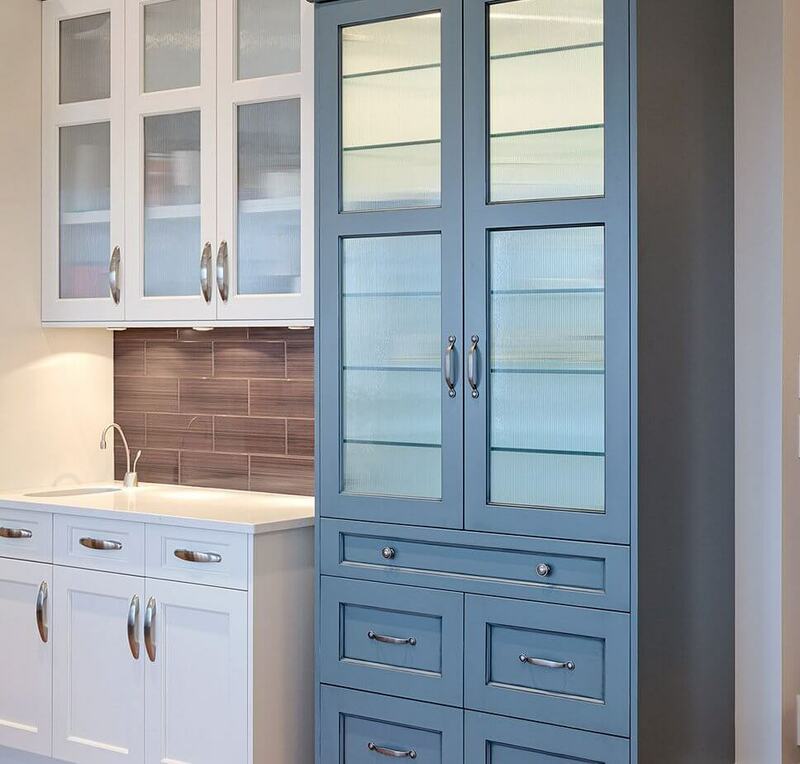 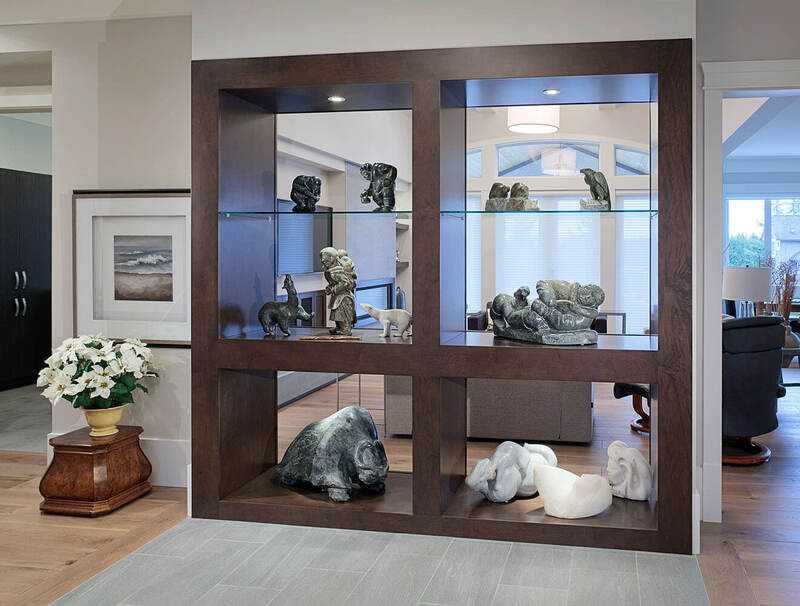 Six cabinets leave plenty of room for storage, and the contrasting counter top and stain bring in style from the rest of the home—complemented beautifully with a matching mirror frame. 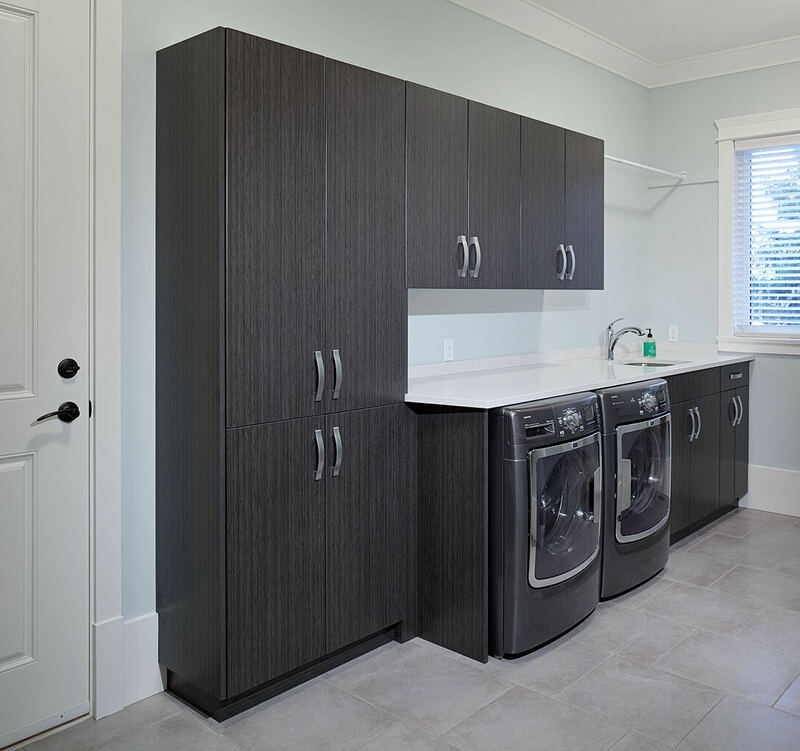 For the laundry room, the design was focused on creating the most storage out of the space. 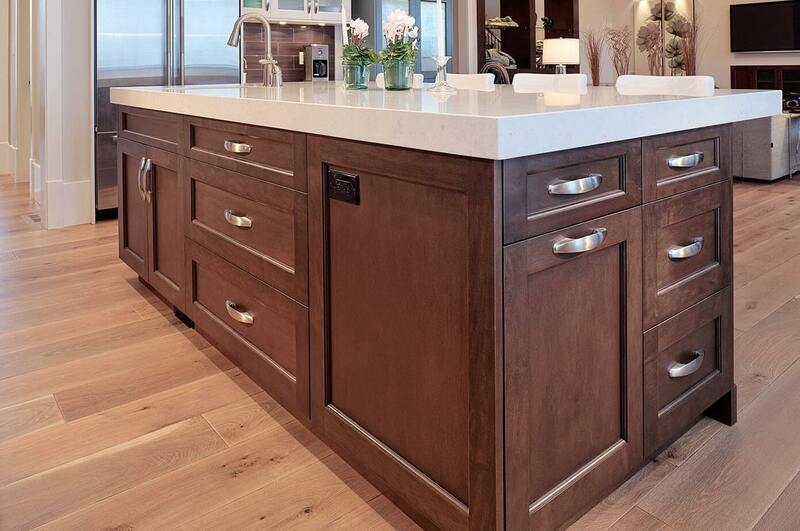 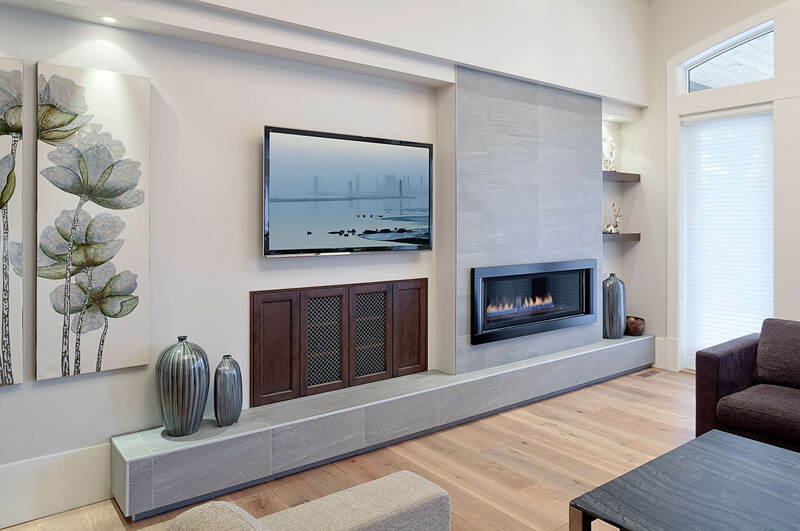 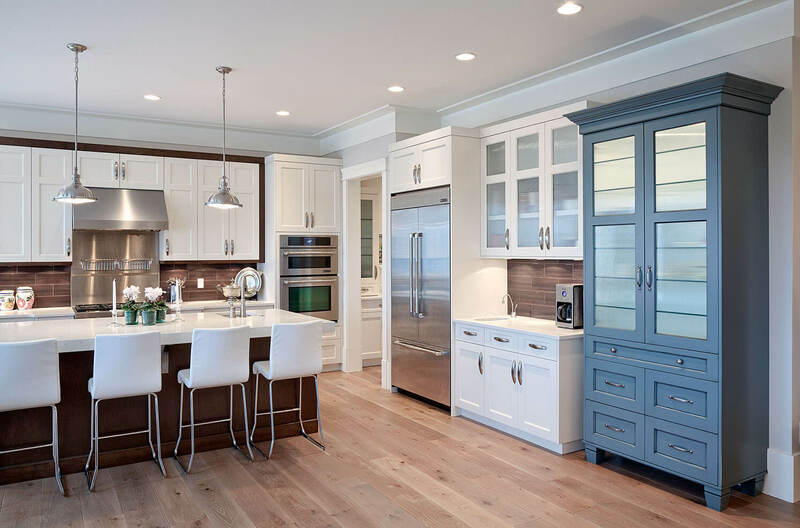 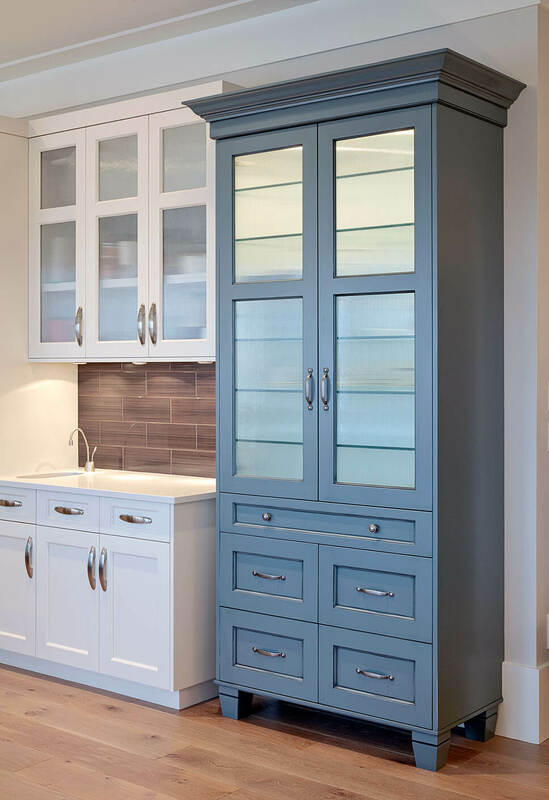 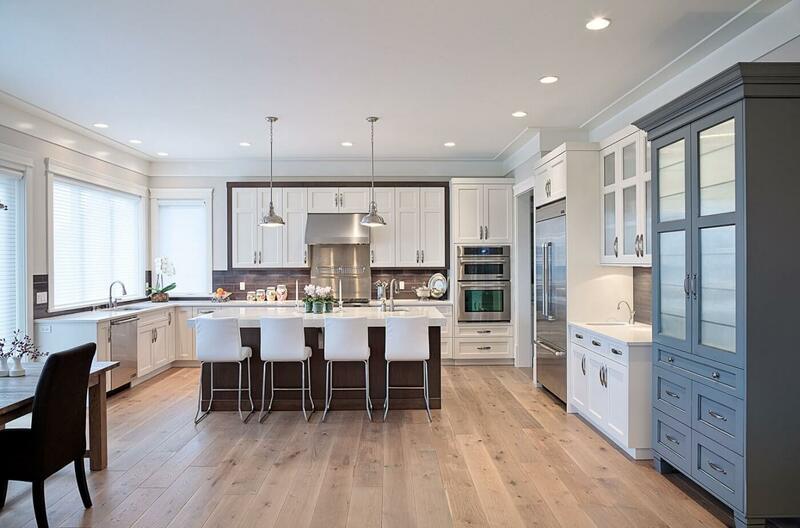 The cabinetry goes from floor to ceiling and includes a fresh, white finish on flat doors. 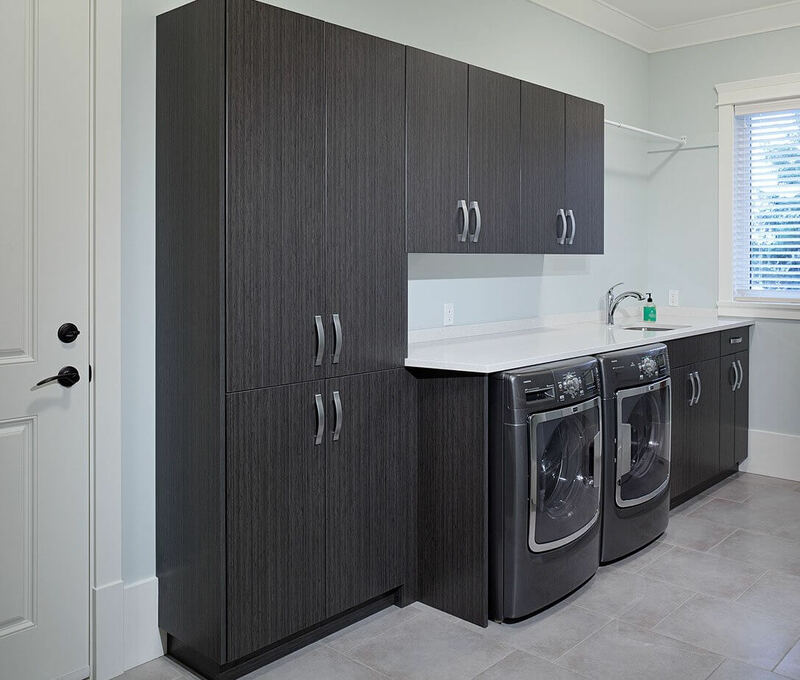 Even the handles are smooth and sturdy for ease when moving around a busy laundry room.